Join this this free open online course to learn how to convert an SAP ERP system into an SAP S/4HANA system. After completing this course, you’ll have a good understanding about the benefits of a system conversion compared to a new implementation, which tools support a system conversion, and what essential changes are required in the Finance and Logistics areas. Here is what some participants are saying about the course. You do not need access to an SAP S/4HANA system in this course. Tom Arne Altmüller is a business processes principal consultant and solution architect in SAP S/4HANA plan-to-product. He is currently working as an SAP S/4HANA product expert for the SAP S/4HANA Regional Implementation Group EMEA. 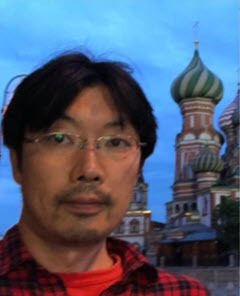 Masaaki Arai is an analytics senior consultant and part of the SAP S/4HANA Regional Implementation Group (RIG) in APJ and Digital Business Services Japan, based in Tokyo Japan. Masaaki has been with SAP for more than 16 years and has worked in SAP BW and analytics consulting and support. He has experience in a product management role, as well as an SAP BW and SAP HANA project lead. He is now focusing on SAP S/4HANA architecture and development. Pierre Cassano is a principal analytics and solution architect and part of the SAP S/4HANA Regional Implementation Group (RIG) in APJ and APJ Digital Business Services. He is based in Melbourne, Australia. Pierre has been with SAP for more than 23 years, spanning training, consulting, and management roles throughout this time. With a strong software development background and specialization within the analytics space with the introduction of SAP BW in the late 1990s, Pierre has seen many of the SAP analytics innovations some of us take for granted. Now he focuses on SAP HANA Analytics, IoT, and Big Data, including developing customer-specific architecture and strategy solutions for the APJ region. Andi Mauersberger is a process consultant with a focus on Business Partner and customer-vendor integration. He has worked for many years in the Business Partner area. Andi supports several SAP S/4HANA project teams in introducing the Business Partner concept and provides hints based on his experience. 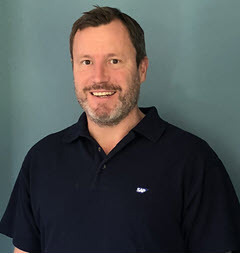 As part of the RIG (Regional Implementation Group) team, he works as a connector between SAP S/4HANA projects and development/ consulting. This course was held from Feb 06, 2019 through Mar 14, 2019. Lars Rueter drives co-innovation with customers and partners for SAP S/4HANA and leads the Regional Implementation Group for SAP S/4HANA in APJ and Greater China. Lars joined SAP in 1999. He has since held various positions in development and product management, including SAP Master Data Governance and SAP NetWeaver, as well as architecture roles across a variety of programs. He is a frequent speaker at conferences and other industry events on SAP S/4HANA and digital transformation strategy. 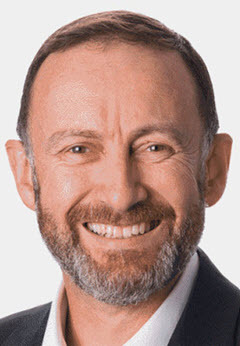 Hendrik Luetjohann is a principal business consultant and part of SAP’s Business Transformation Services based out of Australia. He is part of the SAP S/4HANA Regional Implementation Group (RIG) in APJ and the Product Expert Group for SAP S/4HANA Cloud. He has been working for SAP for more than 17 years and is coordinating the global procurement team within the RIG. Recently, he has supported numerous successful SAP S/4HANA (on-premise and cloud) customer projects in the APJ region and provided enablement activities for partners and SAP internal teams. Jocelyn Dart is a user experience strategist and platinum solution architect as part of the SAP S/4HANA Regional Implementation Group (RIG) in Asia/Pacific and Japan. She is based out of Sydney, Australia, and is also an SAP Mentor. Jocelyn has been with SAP for more than 22 years in support, training, and consulting. With a strong development background, her current focus is user experience, especially SAP Fiori. She guides customers in renewing UX across their SAP solutions. Her passion is inclusive UX, creating user experiences that respect human diversity so that every employee can reach their maximum potential whatever their physical, cognitive, neurological, or educational challenges and strengths. Dr. Christian Rainer is senior business process consultant at Digital Business Services in the Finance LoB, and is part of the SAP S/4HANA Regional Implementation Group in EMEA, based out of Vienna, Austria. Christian started as an SAP consultant in 1996 and joined SAP in 2014. Before that, he was also a lecturer at universities for business management and information systems. He has done research and his doctorate on knowledge-based approaches for production planning and has also published scientific articles about data mining. 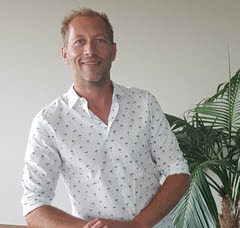 Alexander Roebel is a principal consultant as part of the SAP S/4HANA Regional Implementation Group (RIG) in EMEA based out of Berlin, Germany. Alex has been with SAP for more than 21 years in consulting. With a strong business processes and development background, his current focus is on Business Partner and customer-vendor integration, as well as procure-to-pay topics. As a product expert (RIG), he has supported numerous successful SAP S/4HANA customer projects in the EMEA region recently. Boris Rubarth works as a product manager in the area of Software Logistics and is responsible for the Software Update Manager (SUM) and the Software Logistics Toolset (SL Toolset). Boris has written countless blogs and training courses on SAP topics, and he is the author of several books. Van Vi serves as an SAP S/4HANA product expert in the Regional Implementation Group for the Americas region. He is also a practice engineer in Digital Business Services. He has been working in the SAP industry for 21 years. His specialty lies in the areas of SAP architecture, integration, SAP HANA migrations, and SAP S/4HANA projects. Ivan is currently an SAP senior business processes consultant for the Consumer Industries hub in Latin America. He is also an SAP S/4HANA product expert in the SAP Regional Implementation Group, helping customers facilitate their road to SAP S/4HANA through customer care. Ivan has been involved for the past 9 years as a functional logistics consultant on local, regional, and global projects for SAP customers. Gilbert Wong serves as an SAP S/4HANA product expert in the Regional Implementation Group for the Americas region. He is also a platinum consultant in Digital Business Services Services Delivery in North America. He has been working at SAP for over 20 years. His specialty lies in the areas of SAP architecture, integration, SAP HANA migrations, and SAP S/4HANA projects. Kusiel Camargo is a Senior Business Consultant, specialized in the Production and Quality modules, with more than 13 years working as Consultant and Business Architect on SAP projects in Brazil and abroad. Since January of 2016, Kusiel joined the SAP S/4HANA Regional Implementation Group (RIG). As an SAP S/4HANA Product Expert, he is supporting SAP S/4HANA implementation projects in Latin America and accelerating the SAP S/4HANA adoption through enablement and content creation. Jorge Baltazar is a user experience consultant and architect in the SAP S/4HANA Regional Implementation Group (RIG) in the Americas Region and LAC Digital Business Services. He is based in Mexico City, Mexico. Jorge has been working with SAP for 7 years, interacting with the support, training, and consulting areas. With a strong background in development, integration, and SAP architecture, he works on local, regional, and global SAP customer projects, focusing on helping customers adopt SAP Fiori and SAP S/4HANA. Dirk Holzhausen is a chief enterprise architect focusing on SAP S/4HANA. Dirk guides customers through the development of SAP S/4HANA target architectures and roadmaps to the delivery and execution of an SAP S/4HANA project. He has guided a number of customers on their way to SAP S/4HANA, including big SAP S/4HANA conversions. As an SAP S/4HANA project coach in the SAP S/4HANA Customer Care program, Dirk was part of the SAP S/4HANA story from the very beginning. He is based at SAP headquarters in Walldorf, Germany.